Hensingham Business Park offers a development of new build units providing high quality employment and office space. The two storey units are available as a whole or on a floor by floor basis. Detailed floor plans are available upon request. Alternatively Sales may be considered. VAT will be payable on rent, service charge, and purchase price. 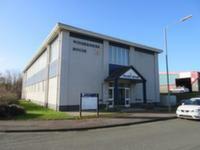 Modern office/employment space on the edge of town centre location over looking the North Harbour. Potential to create more open plan space within two storey purpose built property. The accommodation is offered by way of new leases on terms to be agreed. Alternatively, a Sale of the property may be considered and offers in the region of £110,000 are invited. Available TO LET on a new lease on terms to be agreed. Alternatively, consideration may be given to a Sale of the property. Prominently situated central Workington office premises. Office accommodation over ground and two upper floors with additional basement storage. Limited on-site parking. Offered on new lease on FRI terms for a period to be negotiated. A two storey office building split into different sized work space units, together with shared reception, kitchen, WC and meeting room facilities. 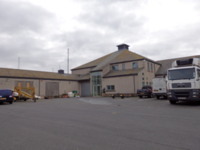 Externally, there is car parking both on Peart Road and immediately adjacent to the property. Qualifying occupiers may benefit from 100% small business rates relief. Windermere House comprises of nine individual office units with shared kitchen and toilet facilities over two floors. There is on street parking available immediately outside the building and in the close vicinity. Offices are available in combination or individually, subject to availability. To let on an internal repairing basis inclusive of service charge and buildings insurance for a flexible term to be agreed.